Finding a family medical clinic you feel comfortable taking your loved ones to is imperative to the overall health of your family. After all, having to find a last-minute doctor for those unexpected illnesses and injuries only adds stress to an already stressful situation. That’s why both residents and visitors turn to Affinity Urgent Care for everything from emergency medical treatment to regular checkups. As a leading walk-in clinic in the Texas City area, we set ourselves apart from other urgent care centers by going above and beyond what a traditional walk-in urgent care does. One way we do this is by offering a spectrum of specialized medical services to adults and children ages six months and older. Additionally, our clinic is open seven days a week during flexible hours, ensuring that we are available when you need us the most. And, to make it even more convenient for you and your loved ones to receive health care, we never require an appointment to be seen. Plus, to ensure your visit is as streamlined as possible, we accept all major credit cards as well as most major insurances, including TRICARE, Medicaid, and Medicare. We also offer one of the most affordable self-pay rates in the region for those paying out of pocket. 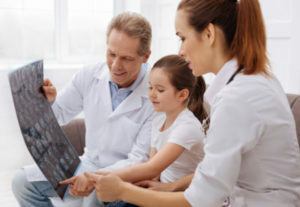 When you find yourself or a loved one in need of a family medical clinic, consider Affinity Urgent Care in Texas City.